This condo complex is your one-stop ocean getaway destination. 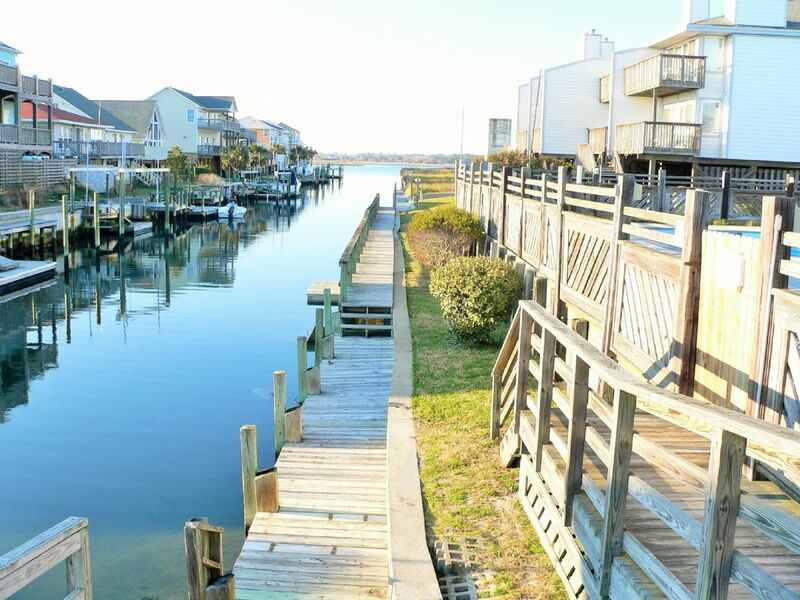 All guests of A-303 can enjoy the oceanfront proximity of the condo with beach access, use of the clubhouse featuring a fireplace, kitchenette, lounge area, pool, locker rooms, hot tub, boat launch/storage and docks. Unit A-303, located on the third floor of the complex, has been newly remodeled and professionally decorated condo. Upon entrance, a laundry room sits to your right with a full-size washer and dryer. Further in, the fully equipped kitchen is also to your right and contains a large refrigerator, stove, microwave, blender, coffee maker, dishwasher and all the utensils you could need. There is a bar featuring four stools that open into the dining area. Use the stools for extra seating at the dining table to accommodate eight. As you walk past the kitchen, the condo opens up into the dining area and living room. The living room has plenty of seating on the wrap around couch, a large flat-screen TV, DVD player and best of all, sliding glass doors out to the oceanfront deck! You can listen to the ocean right from the living room. Enjoy private Wifi! The bedrooms are located just off the dining area featuring a master containing a queen bed on the ocean side, complete with sliding glass doors out to the deck, a remolded private bath, television and plenty of closet space. The next bedroom down the hall has a full bunk bed. A newly remodeled full bathroom is in the hallway between the bedrooms. The remaining bedroom has a queen bed and best of all, sliding glass doors out to the back deck. A stunning view of the sound can be found from the back deck. A great complex full of friendly neighbors and all the comforts of home await you. Professionally decorated by Weslynn Interiors. "We truly enjoyed our visit. Place was extremely clean, loved the views and the location. Beds were comfortable and plenty of room for a group of 8. We do wish there was a grill to use closer to condo but we understand why they are not onsite, other then that we hope to come back in 2019." "We loved our stay! The condo is right on the water with amazing views of the beach. It was clean and very comfortable. Only downside is having to walk up 3 flights of stairs which was a lot when trying to take up luggage and a 30 lb toddler. Also, the internet was really slow and would sometimes not connect. Other than that I would recommend staying here and would come back in the future." Beautiful oceanfront condo with pretty beach decor and everything you need to enjoy a vacation! "We had a fantastic vacation enjoying the beach, sunrise and sunsets! Thank you for such a warm, inviting place to stay with everything you would need to have a great week! We will definitely be back!" "We were so pleased with this property! My sons and I visited for a holiday weekend, and we didn't want to leave. The unit is very tastefully decorated, and we loved the beach view and easy access. We were able to unwind, take long runs and walks and make some great meals. Highly recommend this place--with one small caution--it's a third floor unit, which means four flights of stairs after the raised foundation. That's common for the area; be prepared for a little work!" 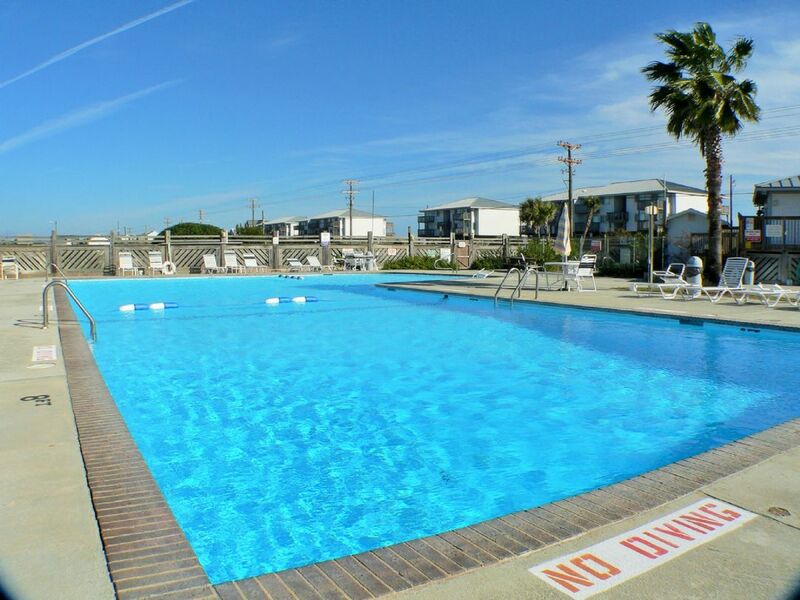 "We just got home yesterday after a long drive along the coast we didn't want to leave this home or the beach it was beautiful very clean and beautiful views, the kids loved staying here as well, the pool was awesome and hot tub were both a bonus after a day at the beach to clean off. The kids and I did go into the water to surf a little there was one shark sighting down the beach towards the pier a lady had told us. We drove to the end of the islands both ways and saw dolphins at the south end it was beautiful there the water was blue but to deep to go swimming with the kids we got in for a min and didn't go very far as it was very deep. Overall it was a blast we had 6 kids and 3 adults that stayed we can't wait to come back next year!!! The Wolf family." "We really enjoyed our long weekend. The view is breathtaking! The condo was comfortable & beautiful. We can't wait to return." Is this ocean front with direct beach access? The photos look as if it is but i want to confirm. It is an oceanfront condo, but the beach access is not directly off the back deck. 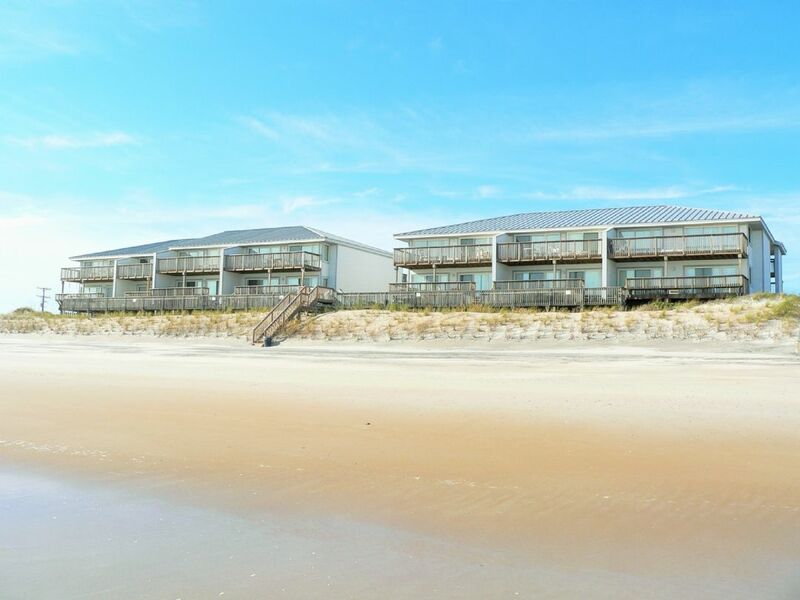 This unit is on the 3rd floor and the beach accesses are located on the sides of the buildings for guests to use.